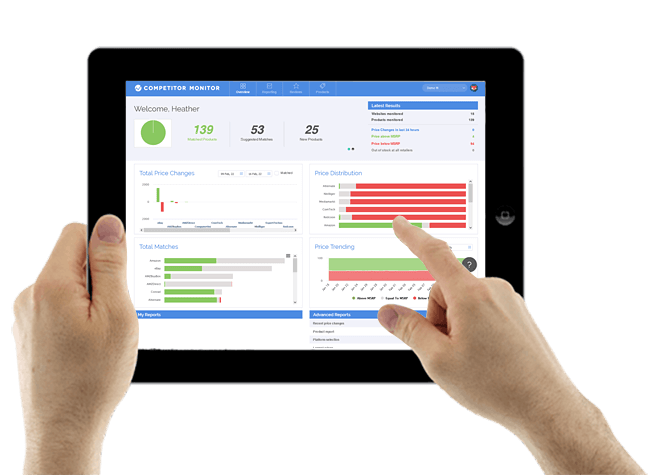 With your own personal dashboard it's easy to see the latest trends as they happen, keeping you right up to speed with competitor pricing, promotions and customer reviews. 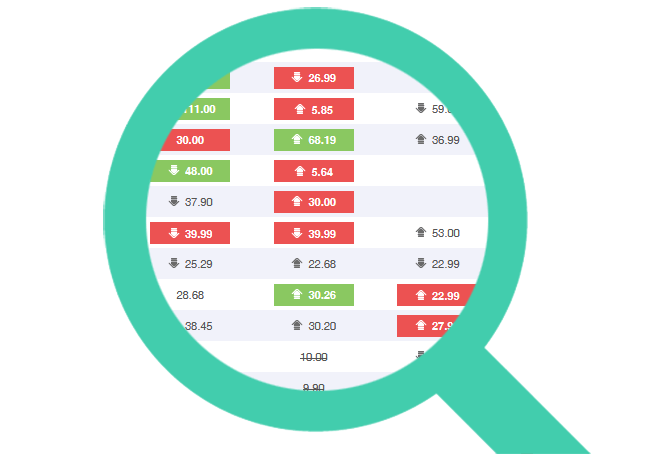 Heat mapping pinpoints exactly where you need to focus, including your selling price, customer rating, position in the market and price available at each of your competitors. We track pricing for you every day at all your key competitors or distributors. 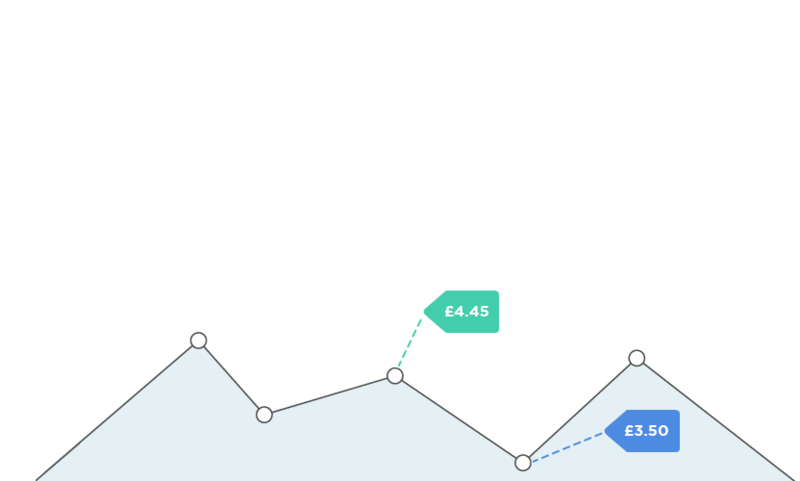 You can follow the change in prices over time to see how you compare and what strategies are being adopted. Have complete visibility of your competitor's pricing and product portfolios, allowing you to know the brands they sell that you don't or where there is space for you to launch a unique offer in the market. 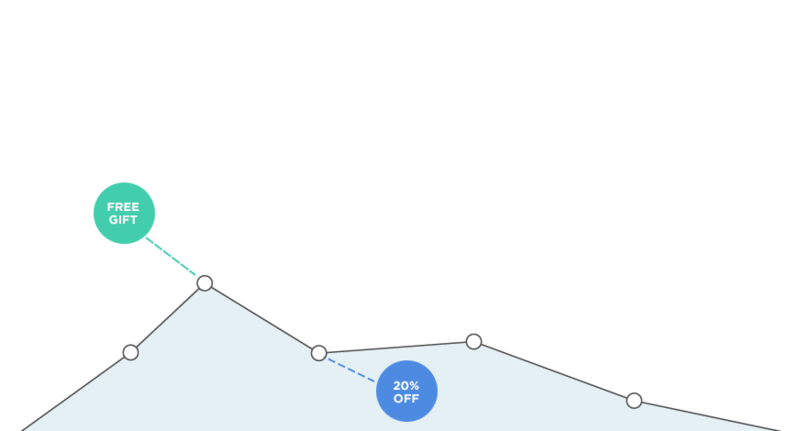 From additional discounts to multi buy offers, we let you know exactly when promotions start and build you a calendar of competitor activity, leaving you free to pick your spot for maximum impact. 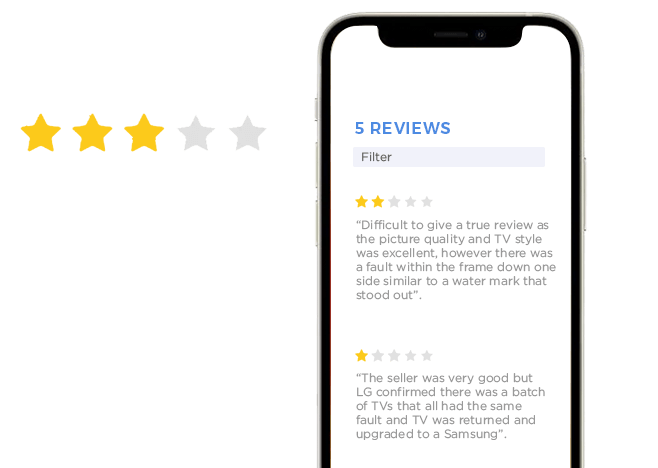 Customer reviews directly influence product sales and pricing. 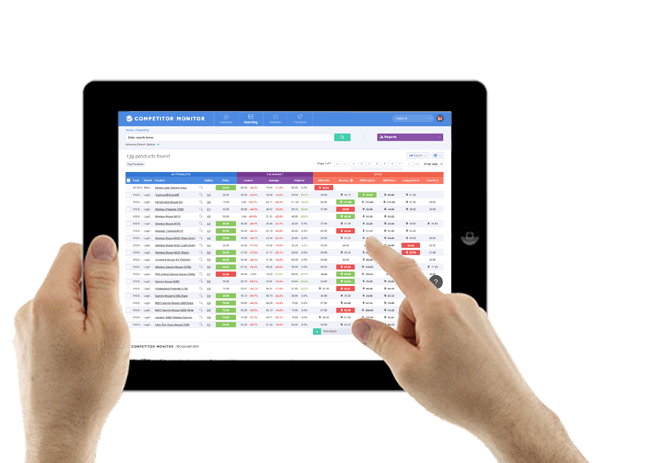 We keep you alerted to potential issues and review data with pricing to assess the impact on performance.